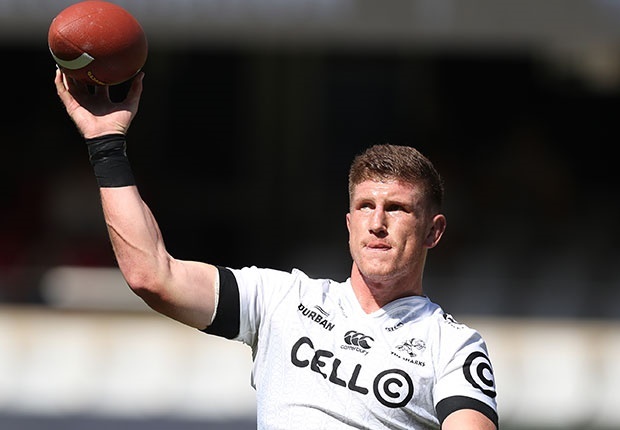 Durban - Sharks flanker Jacques Vermeulen says they have “a bone to pick” with the Bulls, and he’s right - Saturday’s game at Kings Park is not just about avenging the most recent result. As humiliating as the 37-14 loss in Pretoria was three weeks ago, the embarrassment for the Sharks did not exceed what they felt last year when, fresh off the plane from an encouraging tour of New Zealand and feeling buoyant, they were humbled 40-10 on their home ground. Or the year before that for that matter, when the Bulls won unexpectedly but also very comfortably in Durban. Indeed, looking back on the record between the two teams dating back to 2014, one thing becomes crystal clear - Kings Park doesn’t hold any fear for the Bulls. The only time the Sharks have had any kind of success against the Bulls in the last five years was when they drew 16-all at Loftus in 2016. Remember that game? It was the one where the Sharks thought they had won it when Joe Pietersen lined up a kick in the front of the posts off the last move of the game. It was gimme, and the Sharks looked like they were already celebrating. But Pietersen somehow pushed the ball wide of the posts. Try and tell the Sharks that the Bulls aren’t their bogey team after that. According to supersport.com, the last time the Sharks beat the Bulls was the first round game in Durban in 2014. They lost the return fixture in Pretoria a few weeks later, and haven’t tasted success against their old rivals since then. The record over those five years of failure against the men from Pretoria reads: played 7, won 0, lost 6, drawn 1. So yes, the most recent game is the one that sticks in the memory and Sharks assistant coach Nick Easter said earlier in the week that his team was still hurting from that. Of course they are. The game was played only three weeks ago. Which of course is helpful to the Sharks. You don’t often get a chance to avenge such a big defeat so soon, and since then the Sharks have won one game and the Bulls have themselves been rocked by a massive defeat at the hands of the Chiefs. But the Sharks' frustration with the Bulls goes back much longer than three weeks ago, and runs much deeper than just the last time the two teams met. "Us as forwards feel we have a bone to pick with the Bulls team, we as a team have a bone to pick with them," said Vermeulen during the build-up to what will be the big local match of the coming weekend. "We pride ourselves to win at home. We have already lost one, to the Stormers, and we weren’t happy with that. We want to win every home game. It is important to do that if we want to challenge for the silverware. We want to make Kings Park our fortress. It is really important. We lost to the Bulls in Pretoria so that makes it even more important. We have to win. "That game (the Loftus defeat) is in the past but we remember the feeling after that game and how everyone felt. You could say there were mixed feelings. There was massive disappointment but there was a feeling of frustration too." Vermeulen is confident the Sharks can do it this time and break the long sequence of disappointment against the Bulls. "The win over the Rebels brought the self confidence back,” he says. “We had a tough bye week after two losses in derby games. We pride ourselves on winning the games against local teams. After that we put a lot of emphasis on being physical into the game against the Rebels. We took quite a beating from them (in Melbourne) last year so winning this one did do a lot for our confidence, and we are carrying that confidence into the Bulls game." Vermeulen said the first half against the Rebels, where after a strong opening 20 minutes the Sharks surrendered the initiative to only lead by two points at half-time, wasn’t great. But the second half was an example of what the side wants to produce against Handre Pollard’s team. "The first half wasn’t up to par but in the second half the backs and forwards combined brilliantly and we felt we left nothing out there, we were much better," said the former Western Province flanker. "We definitely need to carry the ball through the phases. That is when we are good. When we keep the ball. It frustrates us through the games that we are not keeping the ball as much as we should be. We need to play in the right places on the field. We picked up in the second half against the Rebels. The Bulls are different team but a strong point for us will be to keep the ball against them." At the same time, it will be imperative for the Sharks to ensure the Bulls don’t play in the areas of the field where they like playing and around which so much of their game is built. "The Bulls try to frustrate you in your own half, so the territory game will be massive part of our focus this week," agreed Vermeulen. The Sharks are not reading too much into the Bulls’ defeat against the Chiefs. According to Vermeulen, what happened to the Bulls is what could happen to any team that is not 100 percent focused on the day and was a reminder to everyone, as was the Crusaders’ 20-12 defeat to the Waratahs last weekend, that anyone can lose if they are not at their best. "Every team in this competition is strong and can put up a big performance on a particular weekend," he said. "If you don’t pitch you pay for it. The Chiefs came to South Africa without a win and just one draw so they had a point to prove. It is a tough competition and the Bulls know that. They will come to Kings Park to resurrect themselves after what happened in Pretoria. We are preparing for them to be at their best." Saturday's clash is scheduled for 15:05.